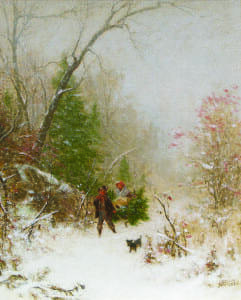 Another year, McEntee’s usual places for a tree were so wet that he settled for a small hemlock on the side of the hill where he lived. 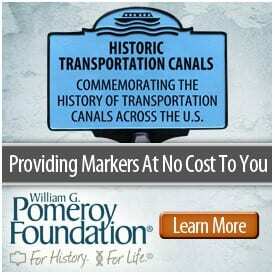 It was a hill that offered a panoramic view of the entire village as well as the Rondout Creek and the Hudson River. 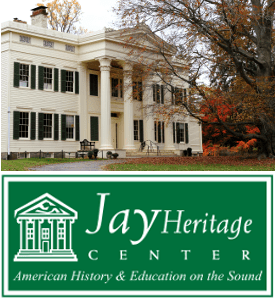 His father James, an engineer who had helped build the nearby Delaware and Hudson Canal, had built the first house on the hill and the family still lived there. I happen to live on the McEntee family’s hill. If my family had moved to West Chestnut Street in Kingston, New York in 1872 instead of 1972, the McEntees would have been our neighbors. Because Jervis McEntee kept a journal from 1872 through 1890, I have learned something about how they lived and lately I’ve been reading about how they spent Christmas. 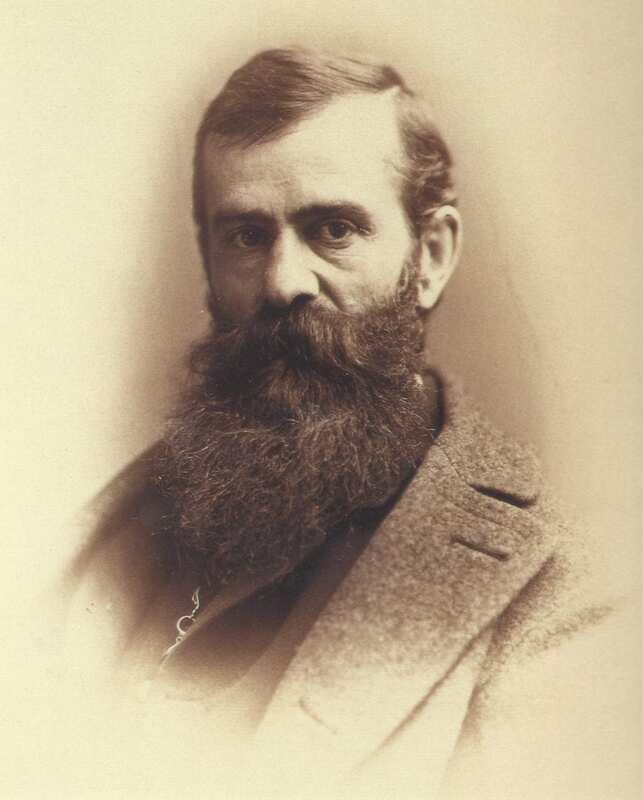 A highly regarded landscape painter and a member of what came to be called the Hudson River School, Jervis McEntee spent half the year in his New York City studio where he painted and showed his work to potential buyers. For the warmer half of the year, he came home to the family homestead in the Village of Rondout, New York (which in 1872 became part of the City of Kingston). But he also came home on some weekends and holidays and always for Christmas. Toward the later years of his journal, Jervis sometimes didn’t arrive home by train until Christmas eve. “Went home by 11 o’clock train,” he wrote on Christmas eve of 1887. “Found Sara and Marion had the Xmas tree up in the sitting room and all ready except the things I bought and the candles.” We know from a sketch of the Christmas tree that Jervis painted one year that there were candles on the tree. The candles were lit in the late afternoon or early evening just before festivities began. Perhaps like other households then and now, the perfect place for the Christmas tree seemed to vary from year to year. On Christmas eve of 1878, Jervis wrote “I trimmed the parlor and put up the Christmas tree. The room looked very festive and pretty and in the evening [the tree] was lighted and all the household came in to see it.” In other years, the tree was set up in the sitting room. The members of the household included, until the late 1880s, Jervis’s parents, James and Sarah. Jervis’s sister Sara, a medical practitioner, was always home. Jervis’s other sisters – Mary, Augusta, and Lucy – were married and living elsewhere during the years of the journal. Jervis’s brother Maurice was home, working as a local newspaper reporter. Jervis’s much younger brother Girard and his wife Mary had built a house across the street and much of Christmas involved their children.- Jimmie, Dwighty, Girard, Jr. and baby Florence whom Jervis one year described as “a little girl baby who squalled all the time.” There were also Tom, a hired man, and one or two young servant girls. In most years, Girard and Mary brought their children over to the homestead house for the tree lighting and present opening. Stockings filled with presents had also been hung by the fireplace in the dining room. That was Christmas on my street over one hundred and thirty years ago. The McEntees have long since departed the town; their homestead is now a subdivision. 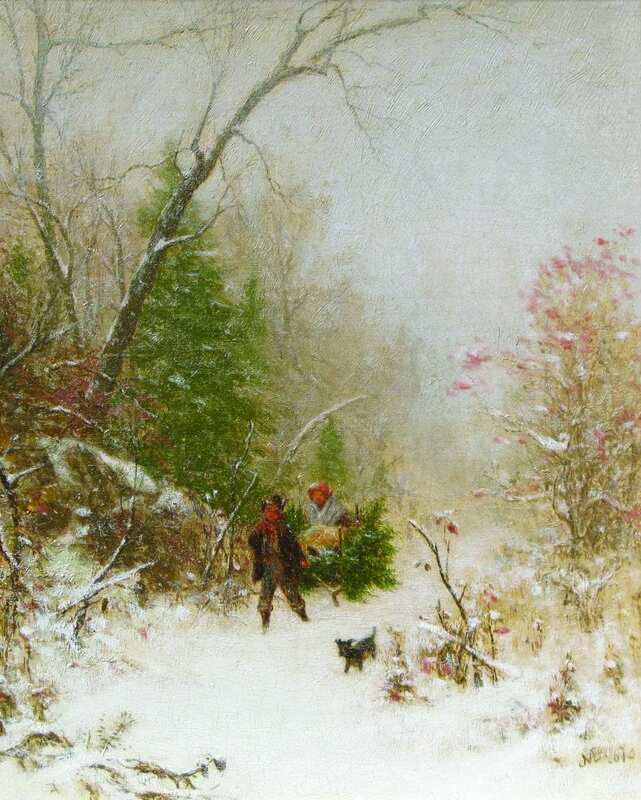 Jervis McEntees’ word pictures, however, live on for those who can discover them and, as we get ready to go out for this year’s tree, I think about the McEntees and wonder if “the cross road between Flat-bush and Pine bush roads” is still there. Photos: Above, Jervis McEntee’s “Christmas in the Catskills, 1867” (with the permission of Matthew and Maria Brown); and below, Napoleon Sarony’s photograph of Jervis McEntee (c. 1867), courtesy The Century Association. Lowell — a delightful post. Many thanks.